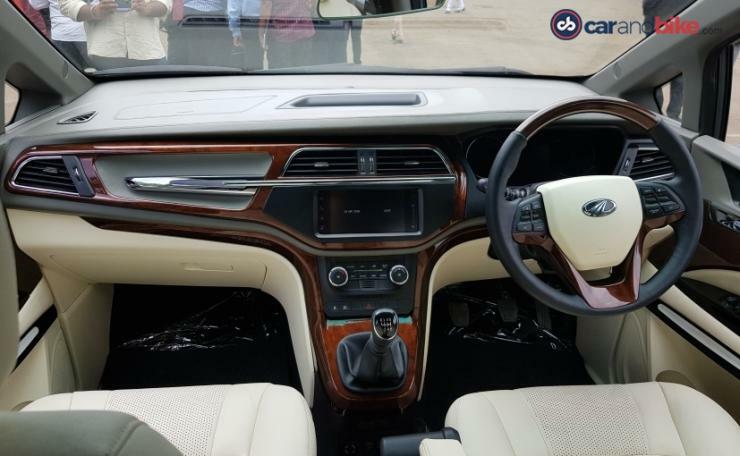 If the recently launched Mahindra Marazzo caught your attention but for some reason the interior didn’t appeal, the company has just the thing for you. 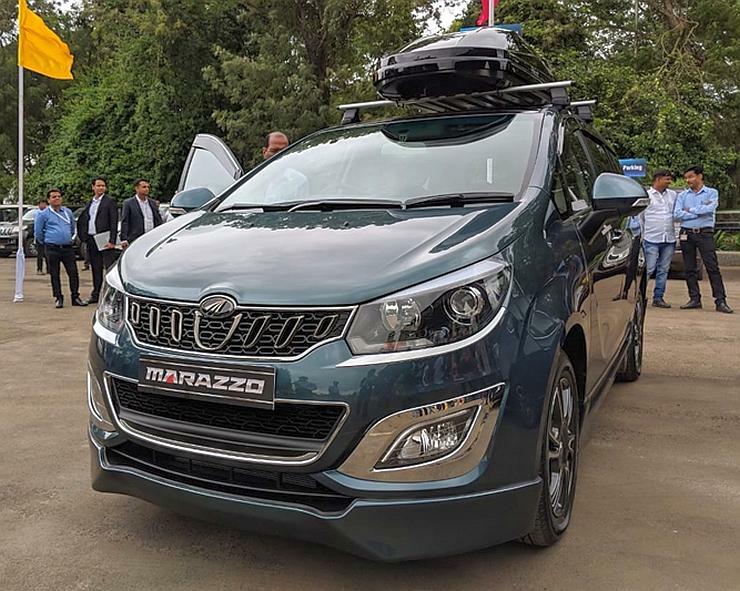 In partnership with Dilip Chhabria of DC Designs, Mahindra will offer a customized version of the Marazzo MPV with a bespoke cabin. It will be made available through dealerships and will come with a host of creature comforts and equipment – typical DC style we say. The rear passenger area is where all the superficial bits will make appearance, but we’ll get onto that later. Starting from the dash, the car will get faux wood and leather along with chrome inserts in ample. The whole cabin will follow a lighter theme as compared to the regular car lending an airy feel inside. The whole centre console now gets done in faux wood with a chrome bar running along it. The chunky steering wheel and the door pads will also feature faux wood and leather inserts along with courtesy lights. The seats are specially designed power seats which are upholstered in premium faux leather. But the rear cabin is where the actual game begins. The rear captain seats will be replaced with electrically adjustable, reclining seats that also get their own footrest that extends from under the seat, business class eh. 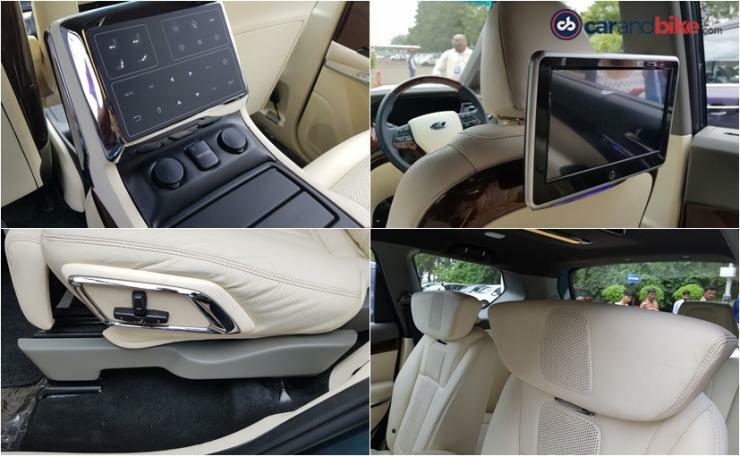 Well, we’re not stopping here as it also has an inbuilt 7 litre refrigerator, two large capacitive touchscreens attached to front seats with features like Android TV, iPad/iPod housing and foldable headrests shaped like a neck pillow. 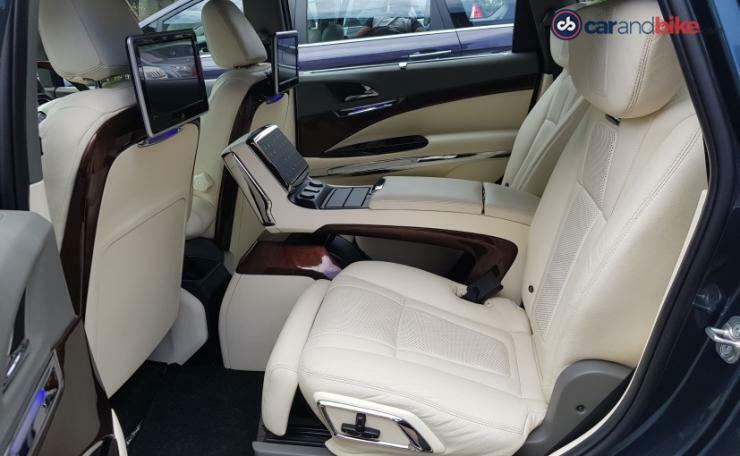 Features like infotainment system and seat operation can be operated from a touchpad console placed between the two captain seats, which also houses the small refrigerator under it. Foldable tables and 12V charging sockets add to practicality. There has been no word on any exterior body kit by DC but Mahindra offers plenty of options to keep you happy. With all these modifications to the cabin, the third row seats might be rendered useless. Also, with the luxurious layout, access to the third row will become difficult. There has been no word on pricing yet, but taking into perspective the other interior jobs DC has done, the custom-built Marazzo is likely to be pegged at around Rs 3.5 lakh-Rs 5.0 lakh over the top-end M8 (Rs 13.90 lakh, ex-showroom) variant. « Meet the Ambassador Hover car!